A Western for grownups starring John Dehner: Frontier Gentleman follows the adventures of an upper-crust Brit on the rough and tumble Western Frontier. Adult Westerns on the radio weren't anything new when Frontier Gentleman came to radio in 1958. Gunsmoke had been on the air since 1952, and James Stewart's The Six Shooter had aired in 1953-54. It is likely that there would have been more produced, but by the late 50s television had begun to claim radio's talent as well as its audience. This is not to say that there wasn't room for more great adventure on Radio. Frontier Gentleman tells the adventures of an English newspaperman who is sent to document life on the American Frontier. Interestingly, newspaperman Kendall, played by John Dehner, interacts with a number of historical characters, including Calamity Jane, Jesse James, Wild Bill Hickok, Sitting Bull and General George Custer. As the series progresses we learn more about J.B. Kendall. For much of his life he had been an officer in the British Army, stationed in the Punjab region of India, which means that he is an aristocrat, but he is far from being a dude. The experience has made him a very competent pistol marksman. And having faced the enemy, there is little that he fears. 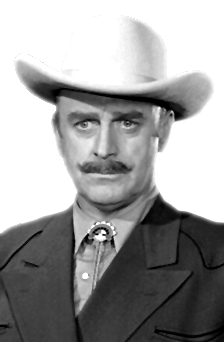 Kendall is well played by John Dehner. Dehner's career began as an animator for Disney Studios, and he went on to play in over 260 movies and TV programs. On radio he made several appearances in supporting roles on Gunsmoke and Philip Marlowe before taking the starring role on Frontier Gentleman. The final episode aired on Nov 16, 1958. 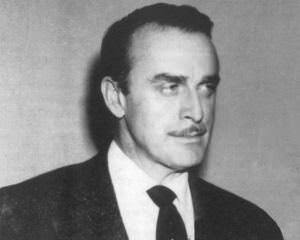 The following Saturday it was replaced by the radio version of Have Gun, Will Travel, starring John Dehner as Paladin, an aristocratic "gun for hire" based in San Francisco. Have Gun, Will Travel was already a popular television series starring Richard Boone as Paladin. At the beginning of the radio version, the stories were usually adaptations of the TV program from earlier in the week, but eventually original stories were written for the radio. The TV version continued to broadcast until 1963, but when the network canceled all of their radio dramas in November 1960, a finale was written for the radio. A regular character, Hey Boy, the Chinese bellhop, was played by Ben Wright. Wright earlier played J.B. Kendall in an audition version version of Frontier Gentleman. This was the best Western on radio. Fantastic well-researched writing. Wonderful acting. Complex characters. I think the key was that the hero, J.B. Kendall, was an outsider describing what he saw in the West. At the same time, given his experience with the British Lancers in India, he is a no-nonsense gunman who saw the kind of action he doesn't like to talk about. Unlike Gunsmoke, which too often goes dark, Frontier Gentleman plots range from comedy to tragedy, but always rooted in American historical events. The episodes ring true; the characters feel authentic. It was a shame that John Dehner left this show for Have Gun Will Travel, which wasn't nearly as good.